YesterTec’s collection of Kitchen Workstation Furniture has been designed to accommodate the tasks of any kitchen while presenting an entirely different aesthetic than typical built-in cabinetry. 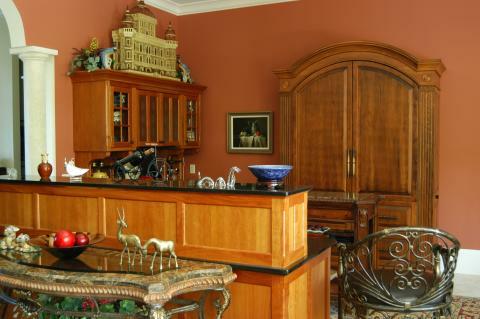 The following article discusses some unique characteristics that separate a furnished kitchen from a built-in one, concentrating on its visual or sculptural attributes. A YesterTec Workstation is like sculpture in the garden. It rises from the ground visually carrying its own weight. It’s balanced, proportional, three-dimensional appearance changes as you walk around it and interact with it. All day, and into the night, light sources and the shadows they create changes it. Objects placed on or nearby them change its appearance, thus, its environment changes it. The same piece placed in a different room design can take on totally different qualities (compare the 1st and 4th images in this article). Furniture is placed in a room, just like sculpture is placed in its environment. Sculpture needs room to breathe to be properly appreciated. In fact, the color and texture of the spaces between each piece, the room’s ‘environment’, acts as the ‘glue’ that unifies the collection of sculptural pieces in the room. In the same way that your eye (and many times your hand) interacts with a piece of sculpture, experiencing its expressive bumps and curves, you can experience the sculptural qualities of Workstations in the same way. You can lean on them, sit on them, run your hands and eyes all over them, around its corners and cornice, continuing around its sides and back. In the same way that we are so comfortable viewing and recognizing ourselves (humans) as 3-dimensional beings, YesterTec workstations are easy for our senses to recognize and appreciate! Have you hugged a Workstation lately? Have you even tried to hug a cabinet? 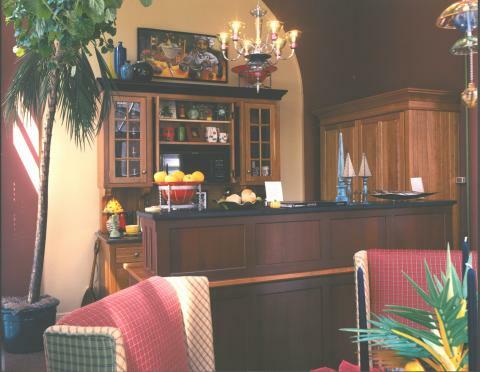 Unlike cabinetry, every workstation has three finished sides, and island pieces have four sides finished. The depth dimension is the most crucial in defining how efficient each piece can be, and it is also the dimension that most kitchen designers have not had to think about until now. 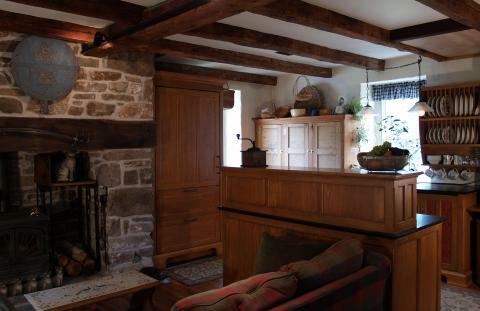 Being able to vary the depth from piece to piece creates an entirely new 3-dimensional look as well as a new efficiency standard in the kitchen. YesterTec pieces vary in height and depth for a number of reasons. But when this happens, a designer must be acutely aware of how these dimensions affect the proportional balance of each piece. (The image above shows proportional problems, agreed?) YesterTec has taken the guess work out of the design process by pre-designing each piece. Now the consumer can be assured that each piece will be properly proportioned, eliminating the experimental jitters always associated with a new prototypical design. Each YesterTec workstation is specifically designed to handle the tasks associated with its resident appliance (a sink, refrigerator, cooktop or oven). 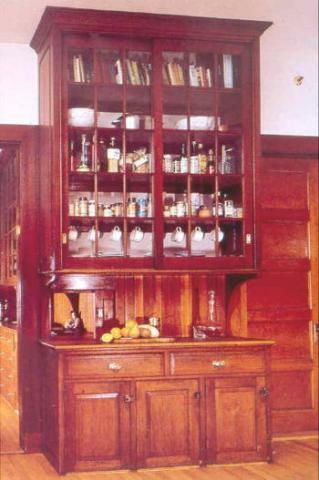 Efficiency is the key to making furniture work in kitchens. 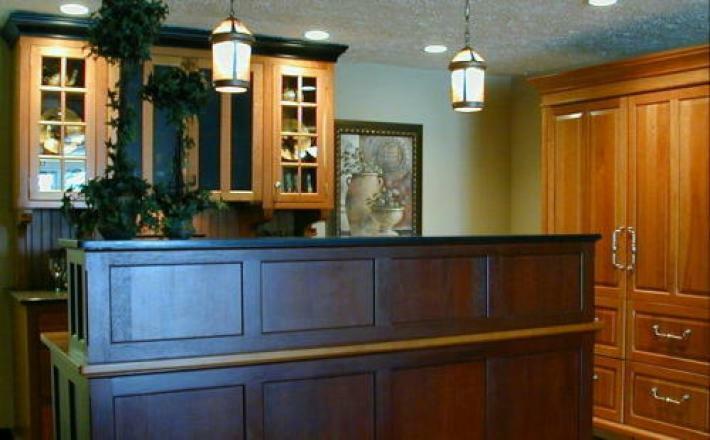 Eliminating the typical continuous countertop requires each furniture piece to become more efficient. Because each piece is separate, YesterTec workstations do not need to comply with the two foot depth cabinetry standard and each piece can be optimally designed to function even better than ever before. Generally, this means that there is more storage and counter space than normal around each appliance. Places are provided for the coffee maker, blender and food processor to be concealed right next to the sink. 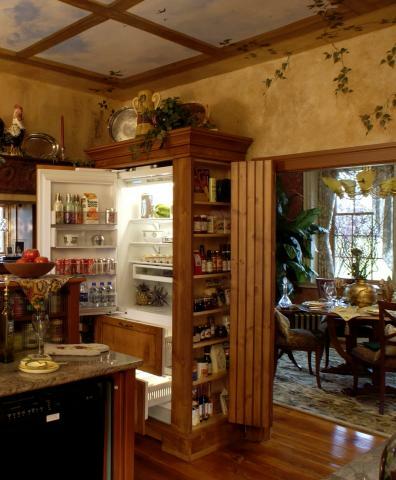 Refrigerators are generally linked with full-height dry-food storage capabilities. Ranges have huge drawers for large pots and pans. Even the sides of the pieces can be used from which to hang pots, dishtowels or potholders. And we haven’t even mentioned how hiding all of the appliances affects the sculptural quality of the furniture. That is a subject for another time!